TSOBMMS – Telangana State Online Beneficiary Managment and Monitoring System or TSOBMMS was one of the many schemes which are introduced by the Telangana Government. This scheme was to support all the people and Students in the Telangana State. The State Government TSOBMMS has published all the SC, ST, and BC Scholarships to all the Students those who belong to the Telangana State. Also, this TSOBMMS scheme includes the Social welfare and rear district classes of the Students and People in the Telangana State. Under this scheme TSOBMMS, the Government provides the Trunks, Scholarships etc to all the backward categories. Students who are interested in this scheme should have to be eligible and also the Application process of the Telangana State welfare loans. All the Students of different categories have the same procedure in applying in the TSOBMMS. Telangana State Government provide loans through the different banks at your Location as such as Mandal/Districts etc. Students who are eligible and interested in this scheme can apply for the Loan through the online application procedure. Follow the below steps of the procedure carefully. Firstly, visit the Telangana State OBMMS online portal. Students who belong to SC, ST can apply directly for the Corporate Loan. Click on this link https://tsobmms.cgg.gov.in/ to visit the TSOBMMS website directly. On the homepage, click on the “Apply online for ESS Registration” link. You will be navigated to another page where the candidate has to click on the “For SC Corporation Registration Click here” link. This is for SC Candidates. Respective Category student should click on his respective category registration. If the open registration is closed then the note appears saying “Open Registrations are closed”. In the next page, enter your Aadhaar number and on the “Get Details” button below. 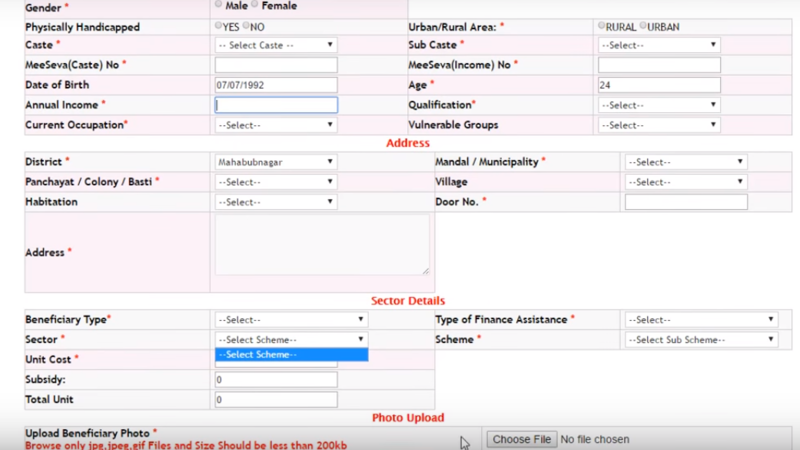 The candidate must have to fill with all the details like Name, caste, gender DOB etc. After filling up all the details, the student has to upload his/her photograph. After filling in all the details, check for the mistakes in the text columns if there are any. The photo should be of less file size and Passport sized. After completion of the filling up the registration form. Download the form and can get the printout of the Registration form. For the verification procedure, the student needed to submit the required proof documents along with the Registration form. If you are applying offline you can handover the documents to the Officials there. No fake document should be provided so that you won’t get your application rejected. Telangana TSOBMMS BC, SC, ST students can get the scholarship from the Telangana State Government who has started a new scheme for BC, SC, ST Students. The candidates or students who belong to those will get their respective Corporation Loan in Telangana State. The following are the required documents for the BC, SC, ST corporation loans in Telangana State. Date of birth (DOB) certificate. Caste or community certificate – BC Caste certificate. Passport size photos of the applicant. 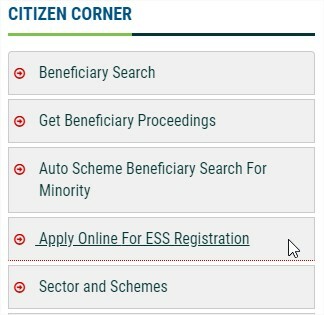 Caste or community certificate – SC Caste certificate. Caste or community certificate – ST Caste certificate. These are the documents which are required to be submitted along with the TSOBMMS Registration form either online or offline. Then, your application is reviewed and also other processes will be finished. Follow the step-to-step guide to get the Corporate Loans from the Telangana State Official Beneficiary Management & Monitoring System or (TSOBMMS). To access these Corporate loans you need to have to required documents which are listed above. Initially, create the account to start the application process mentioned above. Or you can just follow the official link for TSOBMMS. The student can finish his/her registration in TSOBMMS as explained above. Applicant must mention all the asked details. After completion of these steps, candidates will be given a Number. Finally, remove the expression from the registration form. At last, submit it to the office or online on TSOBMMS Portal. Review all the procedures and complete all the further procedures needed for registration. After your Application, your reviewed and approved the Student will be given Loan once he/she proved to genuine and eligible. For more information about TSOBMMS About ST, SC, BC Corporation loans. Just leave a comment here.